By now there should be little danger of frost and planting out of frost tender vegetables should be under way. 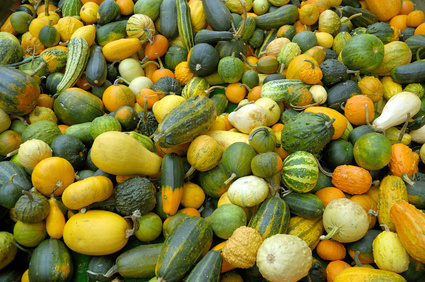 Cucurbits (cucumbers, marrows and zucchini) that have been started in the glasshouse can be planted out in prepared beds. The soil that they are planted in must have a high level of organic matter and be well drained. Two seeds can be planted in the mound and covered with a pot to speed germination. The weaker of the two plants can be removed. These are thirsty plants and need water frequently. When the leading shoots are about 60cm long, pinch them out. 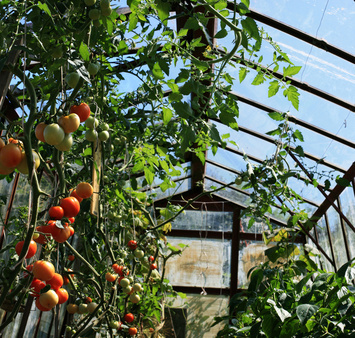 Glasshouse tomato plants should be in flower now or very shortly. To help with pollination, fix a tuft of cotton wool on the end of a short cane and dab each flower. When successfully pollinated, the petals soon dry and die away and a tiny fruit can be seen. Keep a watchful eye for the presence of pests. Whitefly leave a telltale sugary residue on leaves and are unsettled when plants are disturbed. Earth up potatoes and keep the hoe moving between the rows of vegetables. Watch for aphids everywhere and treat according to your wishes, either with commercial insecticides, detergent or squeezing with the fingers. Do not use insecticides during flowering otherwise bees may be destroyed. Stake plants at an early stage of growth as a precaution against wind and rain damage. On wall trained fruit trees, remove shoots growing towards and away from the wall. Pull out unwanted raspberry shoots to prevent overcrowding. Break off the wilting heads of daffodils and tulips but leave the green leaves to allow the plant to store more food and recover from flowering. It takes a large amount of the plant’s resources to form flowers and then seeds. By removing the dead flowers, these resources are redirected to the bulb. For more detailed information and timings go to our individual vegetable, herb and fruit pages. If you want to see a condensed vegetable advice page with planting, sowing, care and harvesting information for the entire year on one page then go to our vegetable calendar. GO TO NEXT WEEK'S "WHAT TO DO"
GO TO PREVIOUS WEEK'S "WHAT TO DO"